With all the stuff regarding the recent gigs and drama surrouding Mk I of Black Sabbath, it’s easy to forget the other members from the band’s history are up to things, too. 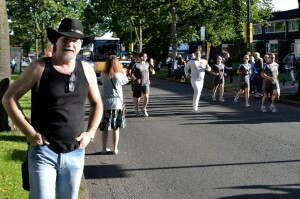 One of which is former singer Tony Martin. 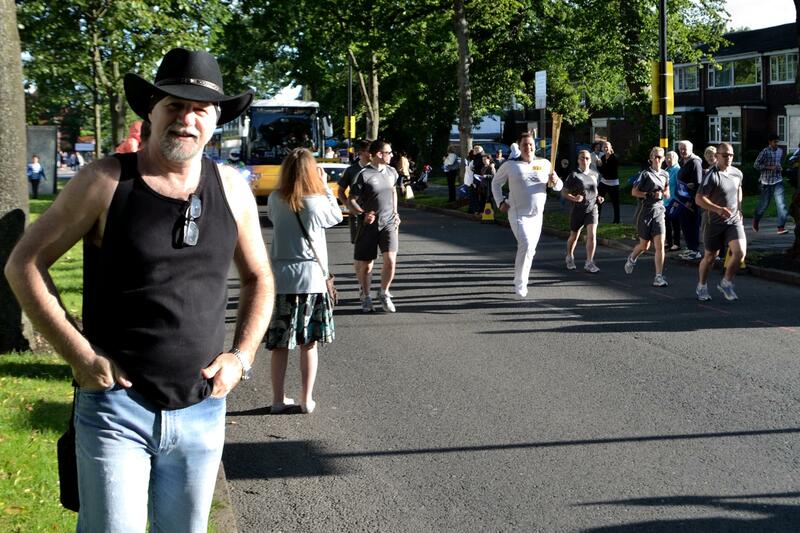 In another not as important Tony Martin bit, he recently posted a picture of the Olympic flame going by where he lives, so he got out there and watched it go by. I probably would have done that if it came by me, too! I have seen Tony Martin twice performing with Black Sabbath in 1994 in Ostrava and Prague on their Cross Purposes tour. Great gigs. Pity he is forgotten now and that hardly anybody mentiones his name regarding Sabbath history. Of course, he was replacement for much more famous singers and overshadowed by Ozzy and Ronnie but it was in times when hardly anybody could have thought about any resurrection of that band. I mean in larger form. So he did a great job and pity he is not where he belongs. TONY MARTIN HAS AN AWESOME VOICE, THE MAN HAS NEVER BEEN GIVEN THE RECOGNITION HE DESERVES!!! I LOVE YOUR MUSIC TONY… TYR WAS YOUR BEST ALBUM… I MEAN TO ME ANY WAY, HEADLESS CROSS IS ALSO GREATNESS. GOD BLESS YOU TONY MARTIN, YOUR AWESOME!!! What a nice guy. Sounds like he got the Bill Ward treatment.This interview gives you an insight on how Sabbath operates.Its a shame. The band has lost its soul and become a name.If i had to go out on a limb here I would guess that Tony Iommi thinks the fans are ok with whatever line-up he throws together. His era in Sabbath deserves a lot more attention and appreciation. He did some great work. According to Tony, it just needs any attention. The band doesn’t even recognize any more. Which is terrible. I love Tony Martin. He has done such amazing things. The cage albums, Empire, Guintini Project, Sabbath and so many more. Wish i could go to the UK to see this show. I really miss TM’s work with Sabbath. His work is criminally understated as part of Sabbath’s history, but albums like Headless Cross and Tyr stand up as some of the best work the band has ever done. All power to him, and I would LOVE to see the two Tony’s work together once again. God bless Lawmaker! The video interview is not working, I can’t watch it..
Tony Martin is the best! Ozzy was the best performer and entertainer. Ronnie was the best singer.Geezer was the best lyricist. But,Mr. Martin stayed on longer than Ozzy and Ronnie.Those guys were better as solo artists.Martin was a good singer,lyricist,performer,and everything. Tony is not appreciated enough.Only us die hard fans know this.Most people never gave him a chance.Atleast Europe understood it and loved him.Too many Americans were focused on Ozzy and Ronnie(because they were famous).So,Europe seems to be the better fans.America only cared if it was on radio or MTV(ignoring Gillan and Glenn in the procsess). Because of this,I don’t know who Sabbath are until 1993.Internet wasn’t around,yet.MTV did no tplay Sabbath during regular play hours(after 1983). My parents would not let me stay up late enough for Headbangers Ball.I discover “Iron Man” through Beavis and Butthead and current friends at the time.The only Metal I was aware of was -Metallica,Megadeth,Ozzy,Skid Row,Guns N Roses,Quiet Riot,Van Halen,Whitesnake,Living Colour,Queensryche,Lita Ford(hot mama! ),and-Alice Cooper. Better late than never to discover Sabbath.But,the mainstream irritates me.VH1 Classic is fixing that mistake.They play-Thrash,Power,Progressive-Metal,and (of course)Hair/Pop/Glam-Metal.Would love to see more 80’s Death Metal videos(if any were made,yet).But,they play 80’s and early 90’s(with 60’s and 70’s).Better than MTV,Fuse,and BET (no offense to the African Americans,when I say this).But,I do love Muisc Choice,Havoc TV,and Paladium. The 80’s was not that long ago, you act like they just invented the train!! Get A Grip!!? how i wish Tony Martin still in Sabbath after the Forbidden album. Ozzy was meant for the 70’s, Ronnie, Gillan & Hughes are for the 80’s. Tony Martin for the 90’s genre and beyond….But times goes for 16 years without him. Wish there is another album from him with Sabbath….Really misses those days. Songs like “Kill in the Spirit World” and “I Witness” speak for themselves. Great songs that I still listen to all the time. Great interview. I appreciate Tony’s humility and sense of humor. You’re part of the history no matter what anyone says. Not only forgotten by the “true Sabbath fans” but along with Martins vocals, some of the best riffs Iommi ever came up with. The songs seemed to have a more musical structure to them. 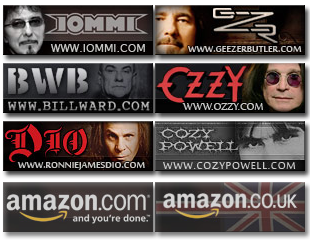 With the addition of Cozy on drums Sabbath developed a tighter sound. Iommi’s lead work sounded more melodic while still having his one of a kind sound. 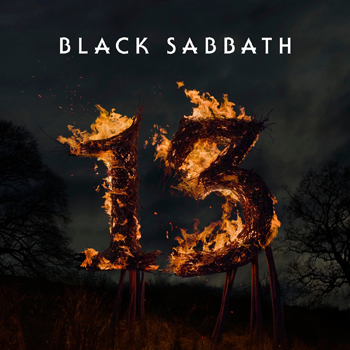 It seems now that Sabbath is more concerned about their commercial success and with the way the Bill Ward situation has been handled, Iommi, Butler and Osbourne need to take a long hard look at whether they should carry on. I hope that if indeed Sabbath calls it a day, Iommi and Martin will work together again giving fans of that version of Sabbath more of the great music from the Martin Era. In my mind, the Martin Era Sabbath gave us some of the best song Sabbath ever recorded and should always be included when speaking about Black Sabbath. Tony Martin has always been a great vocalist. Of course, much better than Ozzy…. I bought all of the albums Black Sabbath has ever recorded and Tyr and Headless Cross were really awesome. The problem is that the opinion of most people is built up by the Media and that’s what Ozzy always had on his side. It’s impossible to agree with people who thinks Ozzy has a nice voice. Evebody knows his voice is not powerful and most of times extremely irretating. People should think by themselves, this is the problem… !!!! Personally I find myself playing Sabbath CDs with Tony Martin and Dio more than any other Sabbath CDs. And right now the MP3 disc in my car deck….. is of all Martin’s Sabbath CDs. I look forward to everything Tony does, and the new “The Third Cage” CD is great . Its a shame that Sabbath with Tony Martin does not get the attention it should. Tony was a great addition to the band. The man is a great singer and – the times I have seen him – also quite a performer. But … did you ever hear him say thank you. Everybody is talking about how much Iommi owes Martin – and, of course, credit is due; the same goes for the other way round.